We’ve all seen the daily pollen count report on the news or in the newspaper. These reports (or more accurately, forecasts) give us some idea of how much pollen is present in the air. Levels of tree pollen, grass pollen, and weed pollen are reported most often as being “low,” “medium” or “high.” Occasionally, these reports give further details on which kinds of tree and weed pollens are present, such as oak tree pollen or ragweed pollen, for example. But what exactly do these pollen counts mean? If the pollen levels are high, does this mean a person will have more symptoms than if the pollen levels are low? While that is the usual interpretation, it’s not always the case. Pollen counts can be very useful to inform the public about the significance of pollen and allergic diseases, but they have their limitations. First, it’s important to understand how pollen counts are obtained. Most pollen counters are placed on the tops of buildings, where they collect air samples through various methods. The pollen in the air lands on some type of surface, such as a glass microscope slide that has been coated with petroleum jelly. A person trained in pollen identification examines the slide under a microscope, and the amounts of different types of pollen are counted. Calculations are then made that estimate how much pollen is present in the air, based on the amount of pollen on the slide collected over a specified period of time. Levels of pollen (low, medium, or high) are reported based on averages of pollen collected over the years. Next, it’s important to realize the limitations of pollen collection and counting. Many variables affect pollen collection, including time of day, weather changes, and the area from which the pollen was collected. While airborne pollen can travel many miles, the types of local plants in the area where the pollen was collected influences the pollen counts. The types and amounts of pollen collected change over the course of a day and from day to day. Lastly, it’s important to realize that the pollen counts have different meanings for different people. Is a person allergic to the pollen in question? What types of allergy symptoms does that person have in response to pollen exposure? How sensitive is that person to the pollen? There are only a few studies that show at what level of pollen exposure do allergy symptoms occur, and these levels wouldn’t apply to everyone. It is likely that some allergic people will have symptoms with exposure to “low” pollen levels, more allergic people will have symptoms to “medium” pollen levels, and most allergic people will have symptoms with “high” pollen levels. That being said, pollen counts may be a useful tool for those of us with allergies, especially when we know what type of pollen we’re allergic to. 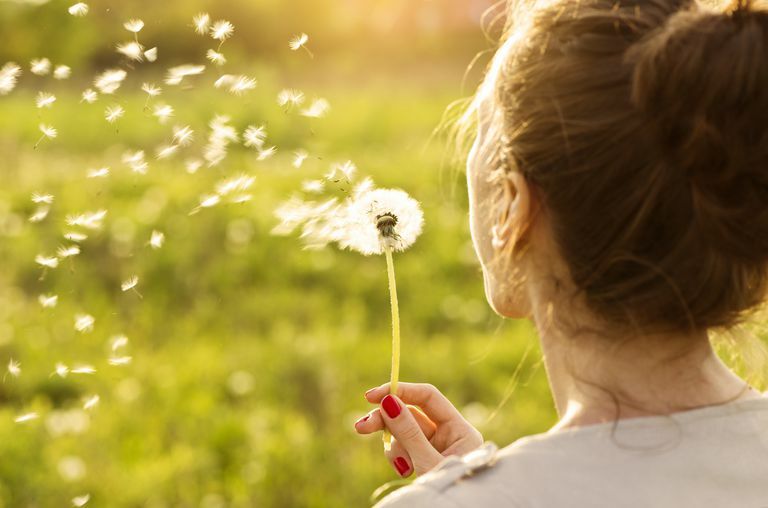 Pollen counts may signal the start of a pollen season, whether or not we should alter our outdoor activities, or whether we should take an oral antihistamine before going for a walk in the woods. Find out what the pollen counts are in your area, as well as what types of pollen are currently present. Portnoy JM. What Do Pollen Counts Mean? Ann Allergy Asthma Immunol. 2004;93:109-110. Chapman JA. How Relevant Are Pollen and Mold Spore Counts to Clinical Practice? Ann Allergy Asthma Immunol. 2000; 84:467-8. How Will My Doctor Know If I Really Have A Food Allergy? What's Causing Your Winter Allergies? How Do You Know If Your Child Has Allergies? Why Do Raw Apples Cause Your Mouth to Itch?